David Hunt is a man who wears many hats – author, historian, satirist, television presenter, podcaster, and public speaker, to name a few! He is well known as the mind behind Girt and True Girt, the “unauthorised” two-volume history of Australia, but he also happens to be a marvellously talented children’s book author. His first picture book, The Nose Pixies, was a cheeky and charming tale of a boy named Oliver who couldn’t stop picking his nose, to the dismay of the booger-collecting pixies that live inside it. Kids everywhere just couldn’t get enough of it, so it’s a good thing David is back with a brand new book! My Real Friend is his latest picture book, and it’s a heartwarming story of friendship and the power of the imagination. It’s about an imaginary creature named Rupert and his best friend William, a real boy. William and Rupert have all kinds of amazing imaginary adventures together, but Rupert worries that William will soon want to have real ones, the kind that Rupert can’t have. What happens next will melt even the coldest of hearts and you just have to read it for yourself! 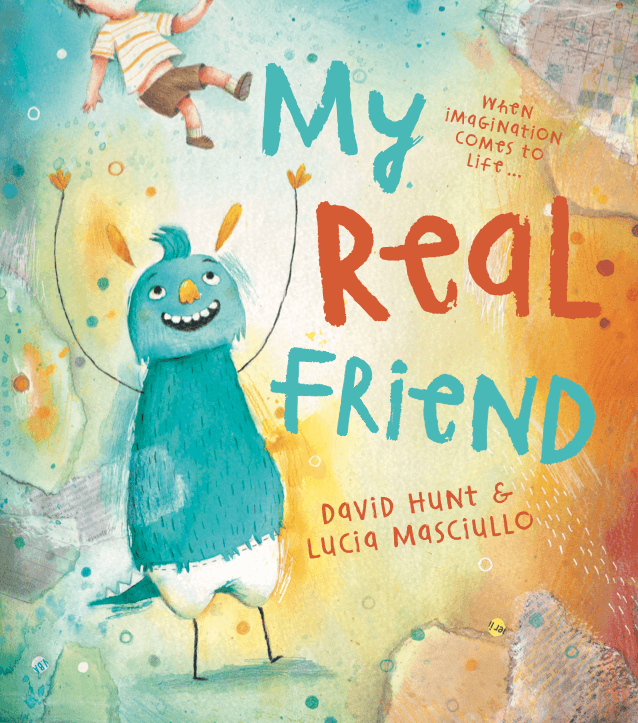 With illustrations by the award-winning illustrator Lucia Masciullo, My Real Friend is a picture book that your kids will treasure. What’s more, we were lucky enough to have David come into Booktopia’s head office this week for a little signing session – you can pick up a signed copy here! In the meantime, why not watch David read a little bit of My Real Friend below? My Real Friend is available for pre-order now. previous postAdam Cece answers the Ten Terrifying Questions! next postThe Erratics wins the 2019 Stella Prize!